At American Coach, these are more than just words. They're the principles upon which we build every luxury motorcoach, every day. 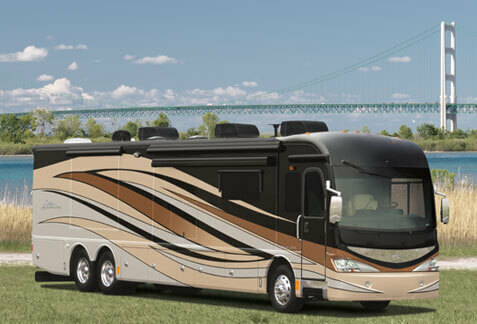 We believe that every luxury motorcoach owner deserves an extraordinary journey, which is why the American Coach story begins long before you step inside or get behind the wheel. It begins with innovative engineering, cutting-edge construction techniques and a meticulous attention to detail. But a beautiful, distinctive design is only the beginning. Through our expert service team and dedicated nationwide dealer network, we've earned an unmatched level of customer loyalty. We're with you at every turn, every time, year after year. Your dreams are limitless, and so is our commitment to every American Coach owner. We're more than a motorcoach manufacturer. We're a partner in the pursuit of your passion.